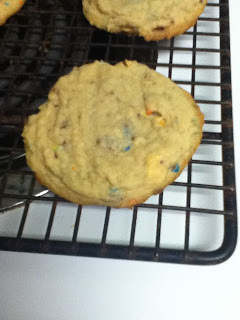 I found the recipe for these cookies on The Sweet Details blog. The author (Amanda) did not really fall in love in these cookies. I did like these cookies and would make them again. What I did different was that I added a whole egg and added a 3.5oz box of crushed Peanut M&M's. I also took a fork and flattened the cookies before baking them. Those changes probably did the trick. I do love a good shortbread cookie. Thank you for linking at Joy of Desserts. these look really good! Brown sugar is always a winner for me. Thanks for sharing for sure !